I know Lush cosmetics are always reviewed but... They're just so amazing! This was my last bath bomb left from Christmas and I was so excited to use it because it smelt so good! 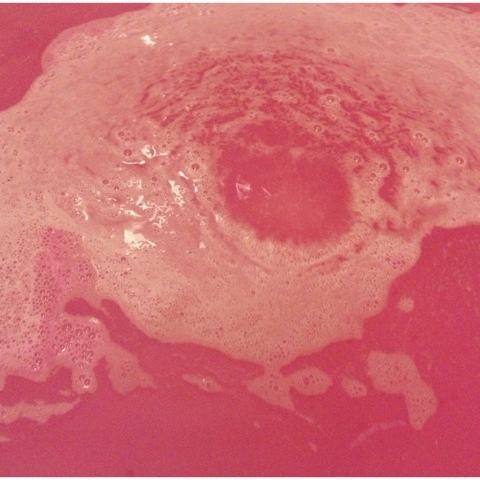 The Think Pink bath bomb is super girly! It has a really deep pink colour with the cute flower patterns. The pinkness just makes t super girly! It has a scent of vanilla and tonka, with the added lavender oils. Once you pop it in to your bath the bath is transformed into a cute girly shade of pink! 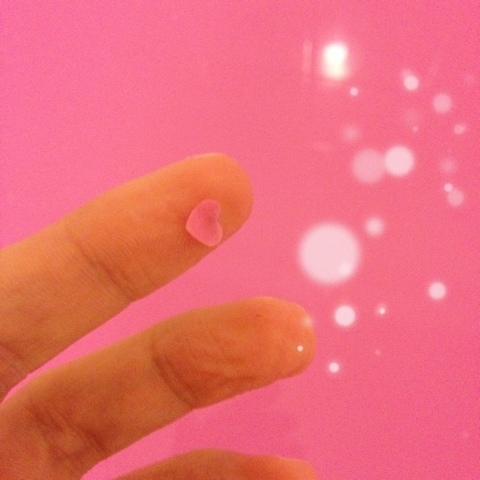 The unique touch of think pink is the pink heart confetti which is released! Pink pink pink! Sadly, this bath bomb doesn't have any bubbles! But once you jump out of the bath your skin is left soft and light scented and definitely not oily! And as a bonus... It didn't leave a bright pink ring around my bath! 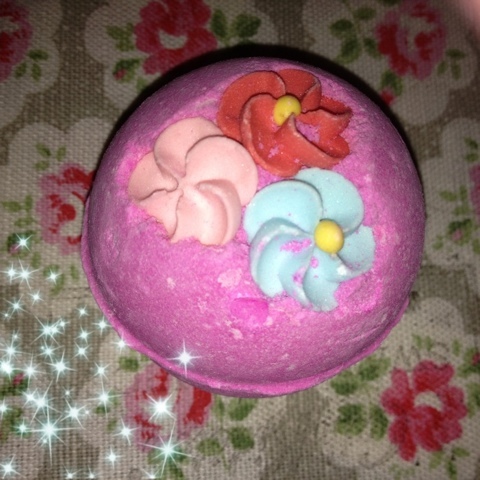 I love this bath bomb, it smelt really good, really girly and cute looking. I also love the size! It didn't take too long to dissolve (my last bath bomb, dragons egg, still had bits left!). The price is really reasonable and cheap too at only £2.50! I am definitely going to buy this again! Have you tried this? What is your favourite lush bath bomb? ?